A stunning, high quality Valentine dog bow tie, in a lovely shade of pale dusty pink. Perfect for any occasion! 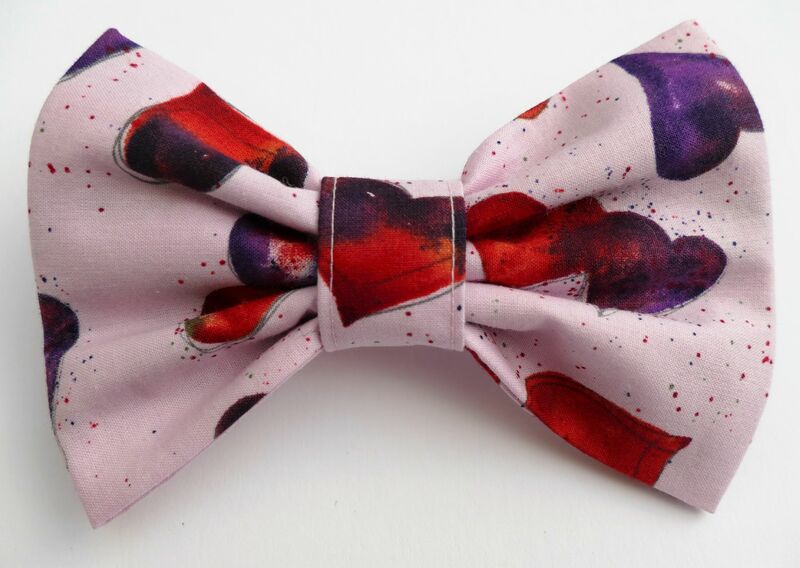 A gorgeous, high quality Juicy Heart print Bow Tie, beautifully handmade in the UK. This is a really smart look for any dog, and practical too. Your dog will stand out in the crowd and get so many compliments!